← Smooth, Round Ball of Dough? I had a few extra eggs in the refrigerator so I decided to give this recipe a try. I’m glad I did. The bread is a winner! The crust is soft and had a lovely flakiness on the top. The bread texture is soft, but has a solidity that makes it a natural for sandwiches. Your sandwich will not fall apart with this bread! This makes a two pound loaf. Follow the instructions that came with your bread machine in terms of which ingredients to put in the bread machine first. With my machine (a Zojirushi BB-PAC20 Virtuoso), I add the liquid first. I used the basic bread setting and chose “medium” for the crust setting. Check on the dough after five or ten minutes of kneading. Just pop the top of the bread machine and see how the dough is doing. It should be a smooth, round ball. Thank you so much for this recipe. I made a few days ago and it came out absolutely perfect! Flavor, texture and appearance! Now I’m looking for a cinnamon raisin recipe on your site. Thanks again!! Mellie, I’m glad you liked the bread! Have you tried my cinnamon raisin bread recipe yet? It’s easy to make and very tasty. Thank you so much for this wonderful bread recipe! Its awesome and easy.no need weighing scale. I did half of the recipe and it turn out awesome! 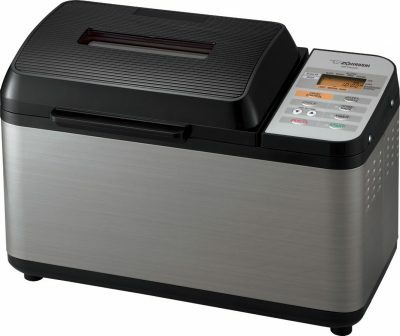 Can you use bread machine yeast? This recipe is AMAZING!!! I’ve been working with the manual recipes and having some luck but not really what I was looking for. Tried this, also happens we have our own chickens so eggs are easy to come by. It worked the first time out and looks just like the lovely loaf in the picture. Candace, I’m so glad you liked the bread. It really is a winner, isn’t it? And that’s just with eggs from the store. Farm fresh eggs with this recipe have got to be fantastic. Hello, I’m glad that I found this site! I’m looking to make an egg bread as I just got the zojo virtuoso! What type of yeast do you recommend for this recipe? Active dry or instant/fast rise? Is 1 1/4 teaspoons enough? I thought I’ve read that the general rule is 1/2 tsp yeast per cup of flour. 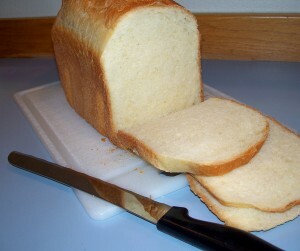 Hi Mark, This recipe is for active dry bread machine yeast. I’ve made it several times with the yeast amount shown in the recipe. It’s worked fine every time. Thank you Marsha. I made my first loaf from the Zojo bread machine, a light whole wheat from Beth Hensperger. It came out great! All of her recipes call for instant yeast, so I’m looking forward to your recipe with active dry yeast!!! Mark, I was thinking about your comment and I may have lead you astray. I thought you were asking if you should use rapid rise yeast. Unless I specify you should use active dry yeast. Hi – Can you please tell me how long this bread stays fresh? The breads I have made on my machine are not that soft on day 2…? Hi Dani, You know, I’m not sure how long the bread will stay fresh. The reason is that I slice and freeze my bread the day I bake it. Then I just thaw or toast it as needed. The whole not staying fresh issue is kind of a mixed blessing. It’s a bummer that the bread doesn’t taste the same on day 2 or 3. But the reason that it doesn’t keep as well is because there aren’t a bunch of preservatives in it. I just found this website and WOWZER! THANK YOU! I made this bread yesterday and it’s fabulous and looked exactly like your picture. I am going to explore the other recipes as well. I have the West Bend machine that makes a full size loaf and I pray it NEVER dies. I don’t know if anyone suggested this to “DANI” about keeping bread fresh or not but I purchase the 2 gallon zippy bags and after my bread cools I keep it in the fridge in a good bag…..hopefully that does not go against “bread etiquette”? BUT….due to the fact homemade bread has no preserves some sort of either fridge or freezer needs to be involved unless you have a family……I am only 1 individual so I find keeping my loaf if the refrigerator works great and as it gets older it’s either chicken feed or french toast. GW, thanks for your comments! I don’t pay much attention to “bread etiquette”. I focus more on what works and what tastes good. 🙂 Good idea about putting the bread in the refrigerator. We slice ours up as soon as it’s cooled. Then we put it in the freezer. It works fine for us. OH…..again, I hope this does not go against “bread etiquette” (again) but I use just regular yeast in all my breads…..I pick up the BIG BLOCKS at Sam’s Club and keep it in a lock n’ lock in either the fridge or freezer and have never had any “issues”. Again, I hope this helps someone. I think there is a lot of confusion here about yeast. There really is no such thing as instant active dry yeast. There’s instant and there active dry yeast. Instant yeast does not require proofing, whereas active dry yeast does require proofing. The packets of active dry yeast usually contain 2 1/4 tsp of product. Instant yeast usually comes in small foil bags (like the kind they sell at KAF). There should be some helpful information on the internet by just doing a search of the different types of yeast. I am so glad i finally found a recipe that worked for me. I was fed up trying to make bread with the recepie that came with my breadmakers user manual. Your recipe is the only thing that worked for me. Thank you. You are so welcome. It’s a great recipe isn’t it? Susan, I’m so glad you liked it!! Thanks for writing! Great tasting bread! I liked it with olive oil, but found that I like it even better using butter instead. 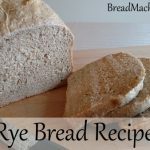 In my Oster 2lb machine this recipe produces a loaf about 6 to 7 inches high – too tall for a normal sandwich and too small when cut in half.. So – I tried making 1lb loaves. They come out just the right size for sandwiches and fit the toaster perfectly. I remove the paddle at the end of the last rise cycle, and stop the baking about 5-7 minutes early to keep the crust from getting too thick. Many thanks for this and great recipes on you site! I have a recipe that is almost identical but without eggs. What do the eggs contribute? Hi Donna, Eggs can help the bread rise. They also make the texture more soft. 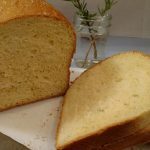 This recipe is my go to bread recipe. Everyone loves it from babies to grandpa!! Thanks for sharing. 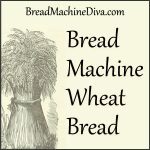 Can you use bread machine yeast? What is the difference between yeasts? Thank you. 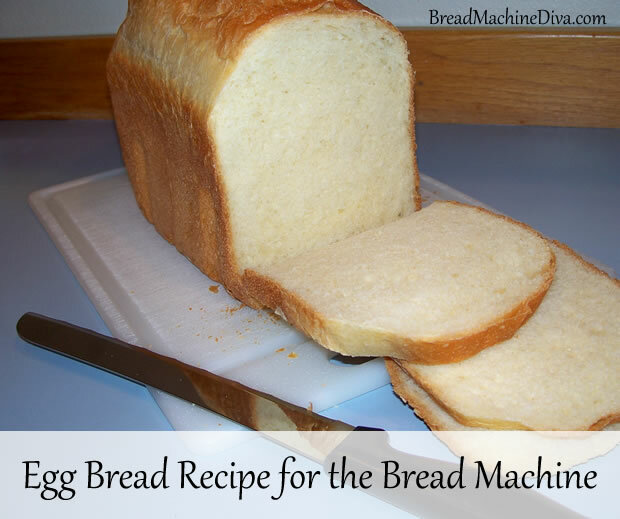 You can use bread machine yeast. Here’s more information about yeast. Can we half this recipe? I made it but it overflowed in my bread machine. But it is delicious. 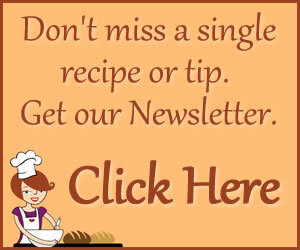 Hi Lydia, this page shows you how to adjust recipes for various sizes of machines. I followed the directions except that I used white wheat flour instead. Would that have made a difference? I had to add about 2 Tablespoons of milk to the dough because it didn’t ball up as it should have. 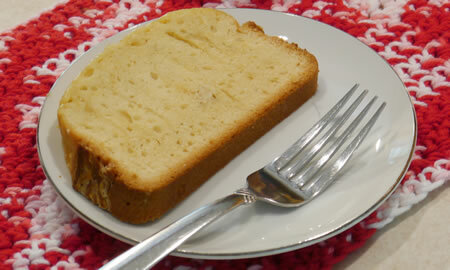 The bread looked great, but crumbled and tasted like cornmeal. I may try again & use bread flour instead…we love a good sandwich bread so I was really disappointed with how it turned out. I love it when people experiment with the recipes. However, switching out bread flour for whole wheat flour isn’t a change that I recommend. As you discovered, it throws everything off. 🙁 You might try substituting part of the flour and seeing how that turns out. You also might want to add some vital wheat gluten. My brother and I both are bread making NUTS! We have tried so many different recipes with most successes but a number of failures. The one I wanted the most was egg bread. I made a loaf while he was visiting and it turned out INCREDIBLE. He went home and used the same recipe and it flopped. So I tried it over and over with failures each time. The recipe came from a different bread machine book. So I am going to try yours today, but I have one question: what size eggs do you use and are they straight from the refrigerator? My loaf will go in my Zo just as soon as I hear back from you. Thanks for all the great recipes you post. I use large eggs. My Zo, and hopefully yours too, has a preheat cycle. So just take them out of the refrigerator and gently beat them before you add them to the pan. Another question: I can’t make sourdough bread!! We were in Montana last week and one of the chefs out there gave me a starter that they have been using for 9 years! When I got home last night I tried it. But I felt like I was improvising on everything. Their only directions were how to feed it. The Zo book is very confusing because you use the started that you’ve made in the Zo. The recipe I tried last night I just got off the web and it called for 1 cup of starter. It turned out just OK. What do you suggest for a great Sourdough bread? Can I use the starter they gave me? Would love to make a lovely loaf like theirs. Thank You. I’d love to make sourdough bread in the bread machine too, but I just don’t think it’s a good idea. Why? In the past sourdough was used as a leavening agent like we use yeast today. Different batches of sourdough will provide different amounts of rise. So I just haven’t used it in my recipes because it might turn out differently for someone else.